I don't shoot hinds this time of the year and I havn't been able to get away hunting for some time so the cameras geting a bit of a work out around the farm. Spotted this girl while I was feeding the bobby calves last night. They must be well used to us now as I was shooting gongs here only a few hrs earlier. Steve338 and veitnamcam like this. Nice littel movie there sneeze how far away were you ? Just lasered it at 350 yds. Wind was shaking the camera up a bit,I just had it sitting on the picknick table while I washed out the calf feeding gear. Plenty of tucker there,bloody dry round here. She's obviously pretty confortable with you being there, she looked up a couple of times then returned to feed. You reckon she has friends about or would she be a loner? Was drying out a bit but we got 3" over a day and half last week so every thing freshened. 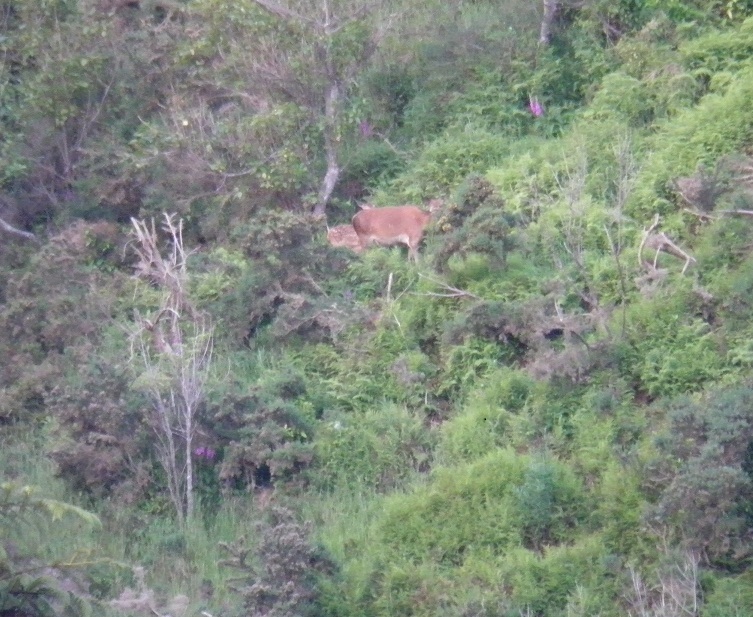 There's 2 other hinds in that little gully that I know of. A few fawns starting to show up around the place now. Ill try and get some pics. just about on que. She can't have been able to find a baby sitter tonight. Steve338, Shootm, veitnamcam and 3 others like this. She looks happy enough. Good stuff. Help to get first deer. All times are GMT +13. The time now is 06:18 PM.